Foxconn, the company best known for manufacturing Apple products, has apparently decided to go it alone after announcing its very own smartwatch. There's no official Apple involvement in this one - but the (currently nameless) watch will be able to connect to your iPhone and perform a variety of features. 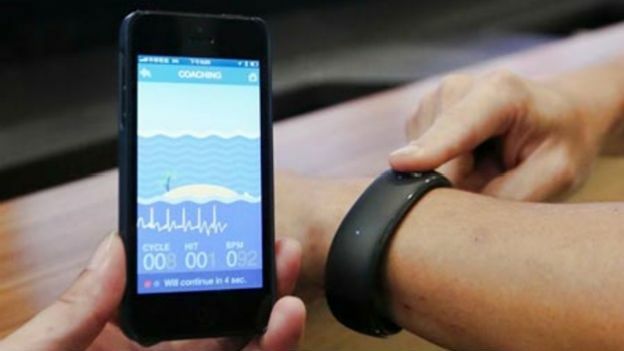 Along with checking calls and status updates, Foxconn is reportedly including a variety of fitness functions such as a heart rate and respiration monitor. Fitting, as it does look a bit like the Nike+ Fuelband. According to reports, the company is planning to release incremental updates to the smartwatch which could include a fingerprint scanner. This is the second slice of smartwatch news we've had this week after Sony revealed its Sony Smartwatch 2 with a 1.6-inch, 220 x 176 screen on Tuesday. And, as ever, the rumours of an Apple iWatch and a Google Android smartwatch continue to circulate. There's no word on any kind of release date for Foxconn's creation, but we here at T3.com hope it becomes a reality sooner rather than later. What's your take on the growing smartwatch trend? Let us know your thoughts in the comments box below.